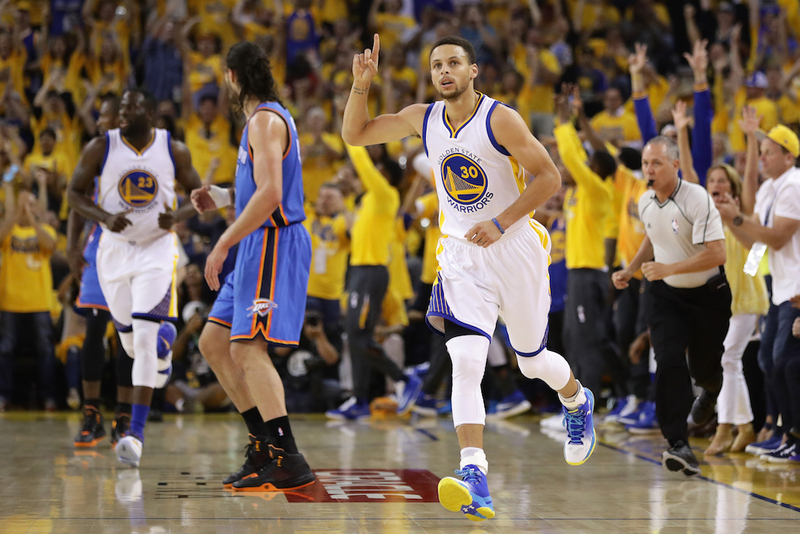 In the history of the NBA playoffs, only nine teams ever came back from a 3-1 deficit. As of yesterday, this is no longer the case. After dismantling the Oklahoma City Thunder 96-88 in Game 7 of the Western Conference Finals — to the surprise of almost everyone but themselves — the defending champion Golden State Warriors added their name to the list and advanced to the 2016 NBA Finals. “No one ever had any doubt that we could get this done,” said Golden State’s Draymond Green. “People have seen teams down 3-1 before but they ain’t seen many. They’ve definitely never seen a 73-win team down 3-1.” This is true, no one has ever seen a 73-win team in a 3-1 hole before. But as these Warriors showed us time and time again throughout this season, they are not your average team. The Dubs are skilled, seasoned, confident, and ready for the last remaining hurdle — an NBA finals rematch with the Cleveland Cavaliers. To be the best, you have to beat the best, and while Golden State remains the current NBA champion, some would say LeBron James and company are playing the best ball of any team left standing. In fact, there is a legitimate case to be made that the Cavs will avenge last season’s loss and ultimately capture the 2016 title. The truth is, we wouldn’t be shocked to see that happen. However, that doesn’t mean we actually think it will. For the second straight year, the Cavs are the best team in the Eastern Conference. Yet, for the second straight year, the Golden State Warriors will prove to be the best team in the National Basketball Association. 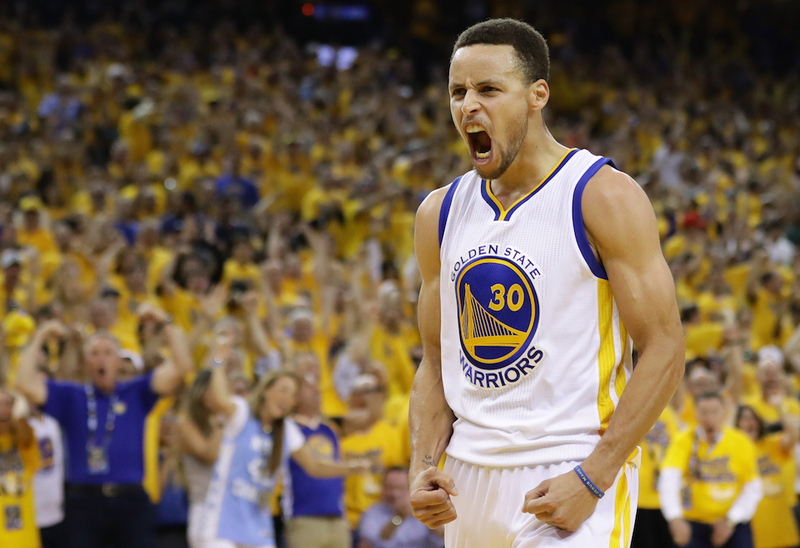 Here are three reasons why we believe the Dubs are poised to go back-to-back. During their record-setting 2015–16 regular season, the Warriors led the NBA in three-point shooting, averaging 13.1 triples per night while connecting on 41.6% of their shots from beyond the arc. Yet throughout much of the Western Conference Finals, they struggled to find their form from long range. With the Cavaliers currently firing on all cylinders, Golden State would be in major trouble if it entered the 2016 NBA Finals as the colder of the two teams. Fortunately for the Warriors, during their last three games, they rediscovered that lethal stroke. After hitting nine triples in Game 5 of the Western Conference Finals, the Warriors exploded over the next two games, dropping 21 threes in Game 6 and 17 in the series-clinching Game 7 to finish with the most three-pointers made (90) in the history of a seven-game series. 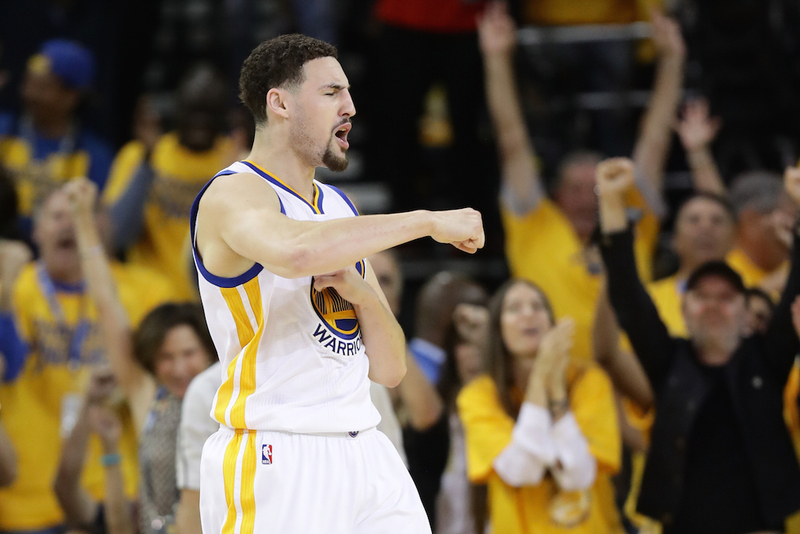 On top of that, both of the Splash Brothers broke the individual record for most threes made in a single series, as Stephen Curry knocked down 32 and Klay Thompson drilled 30 of his own. It would appear that the Warriors caught fire at just the right time. This spells trouble for the Cavs. Unlike last year’s NBA finals, the Cavaliers enter this matchup with a full roster at their disposal. Not only are both Kyrie Irving and Kevin Love healthy, but Cleveland boasts a deep, formidable group of reserves. This should make for a much more competitive and exciting clash between the best teams from the East and the West. Still, while the Cavs are better prepared to stack up against the Dubs this time around, it’s still the Golden State bench players who provide the greater spark. 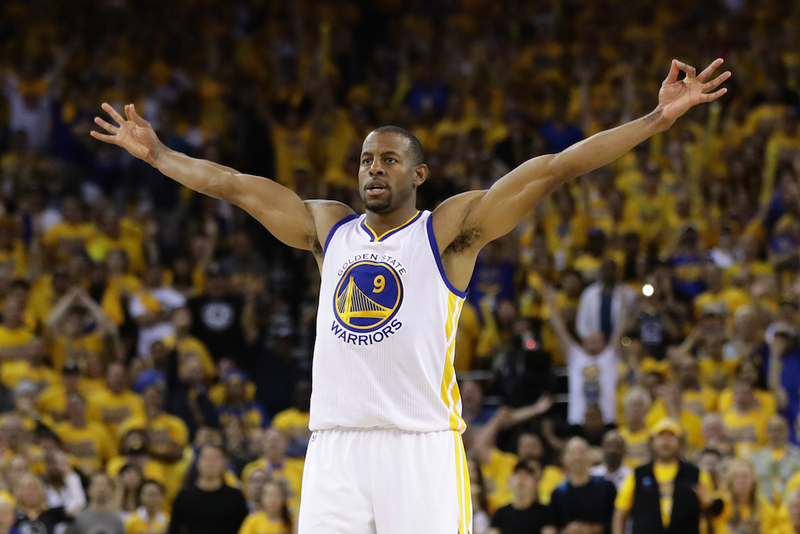 Whether he’s thrust into the starting lineup or taking on the role of the sixth man, Andre Iguodala gives the Warriors a jolt on both ends of the floor. He’s athletic enough get to the rim, plenty capable of drilling the big shot, and he’s a versatile wing defender who can guard multiple positions (just ask KD); just a few reasons why he was named the MVP during last year’s NBA finals. Of course, if you’re searching for the most important player off the bench for the Dubs, look no further than 6-foot-7 point guard Shaun Livingston. The former No. 4 overall pick is long, smart, composed, and a nightmare matchup for smaller guards. The more you watch Livingston play, the more you realize how unfair his presence truly is. The Warriors bench is going to give the Cavaliers fits — of this we have no doubt. Yet, this group and the rest of the Golden State players are only as good as their best player. And after watching the Dubs take care of business in Game 7, we’d say that individual is back to cooking up something special. After wondering if Curry’s knee was to blame for Golden State’s struggles in the Western Conference Finals, the two-time MVP came out in Game 7 and laid to rest any doubt, dropping a game-high 36 points while going seven for 12 from beyond the three-point arc. He hit dagger after dagger, consistently found the open man (hello, eight assists), and carved up the OKC defense with his insane handle. With the Warriors looking to complete a historic comeback, they needed their best player to deliver an epic performance — and Curry was happy to oblige them. When the lights are the brightest, the best players rise to the occasion. In arguably the most challenging playoff series of his career, the Baby-Faced Assassin did just that, finishing with 27.9 points, 6.3 rebounds, and 5.9 assists per game while shooting 41.6% from beyond the arc. Now, for the second year in a row, the Warriors are off to the NBA finals; this time, with an opportunity to cement their place in history among the game’s best teams. With a superstar of Curry’s caliber leading the charge, we’d be foolish not to like their chances. Statistics courtesy of Basketball-Reference.com, ESPN.com, and NBA.com.